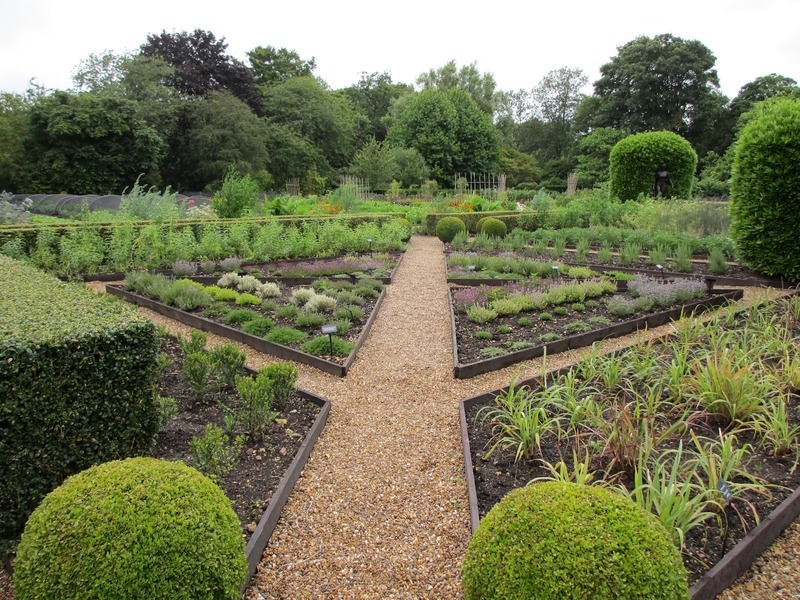 Many years ago I had the privilege of dining at Raymond Blancs restaurant, Le Manoir Aux Petit Quat Saisons, in Oxfordshire, there he has a particularly impressive vegetable garden where they grow many of the herbs and vegetables used in the restaurant. 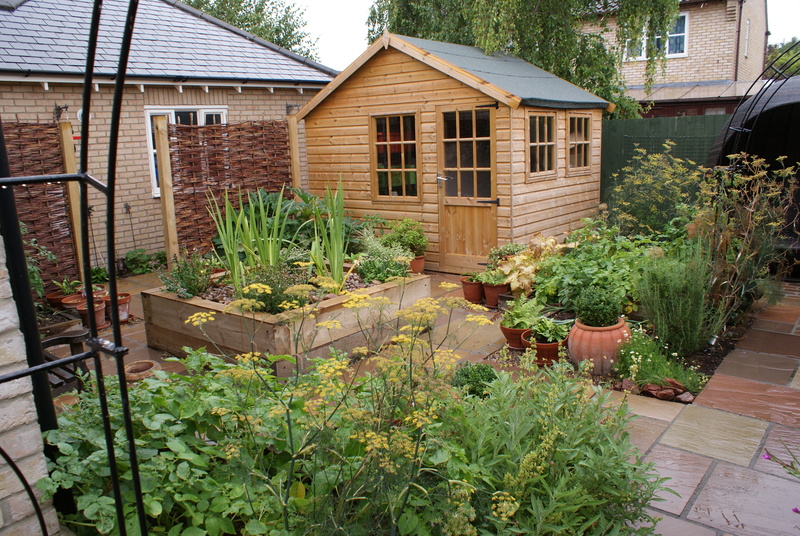 This productive garden only resembles your Grandad’s allotment tin so much as it is packed with lovingly grown produce because in terms of appearance it is beautifully designed and set out. 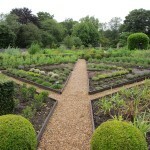 In fact visiting the garden was my main reason for being there. 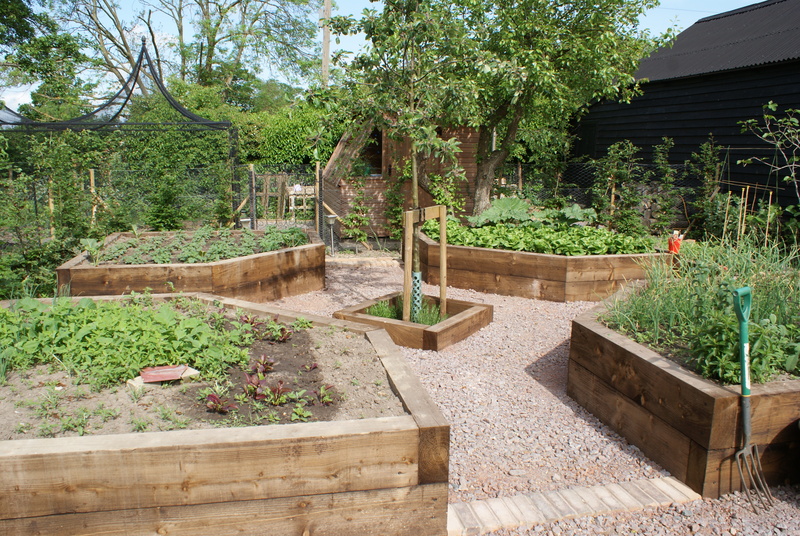 You don’t have to be a world class chef to designate part of your garden to grow fresh produce, and you too can make your fruit and veg plot into an attractive feature which will add to the beauty of your property. 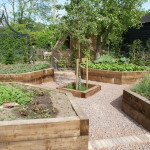 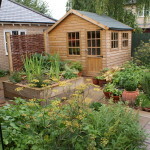 With a good strong design to underpin it a vegetable garden can be a positively gorgeous space to potter around in or just sit and enjoy with a cup of tea or a G & T.
Strong geometric shapes will help to reign in any overly ebullient plants and maintain the lines of your design and raised beds further define the structure and layout of the design.